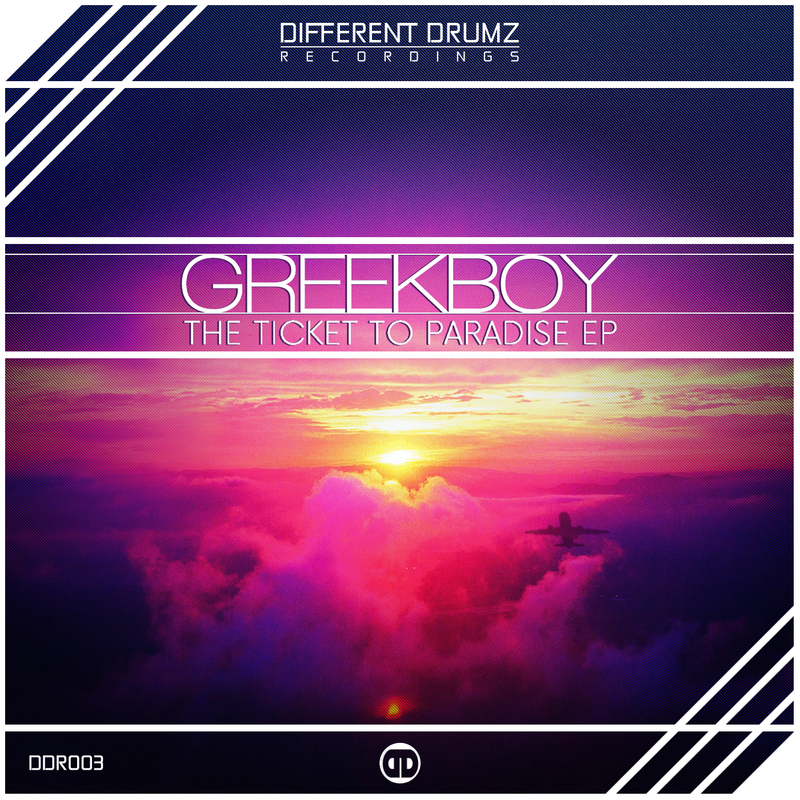 Different Drumz Recordings third release features a two track EP from our long time resident artist Greekboy, known for his soulful jungle inspired releases on labels such as Soul Deep, Liquid Drops, Flex, Odyssey, Liquid Brilliants and more not forgetting his regular shows on Different Drumz Radio. The first track ‘The Ticket To Paradise‘ is exactly that, taking you on a journey from the offset with mesmerizing synths, infectious beats and subtle drum rolls to drive the track forward before really taking off with a heart warming, sub driven bass to shake any system. This track´s floaty pads and dreamy rhode hits speak of warm sunny days. Maybe Greekboy was thinking of his homeland when writing this lovely piece of music? The second track ‘Cosmic‘ features classic jungle breaks and arpeggiated synths that keep the track rolling throughout while the sub bass booms and smooths the soul. Trippy FX notes entertain the mind while guitar riffs hidden in the background give hints of PFM inspiration on this beautiful track sure to take you out of this world. Greekboy presents two beautiful tracks with the sound that we have have grown to love and expect from our Athens based producer, making his first imprint on Different Drumz Recordings yet another solid release to add to your collection!